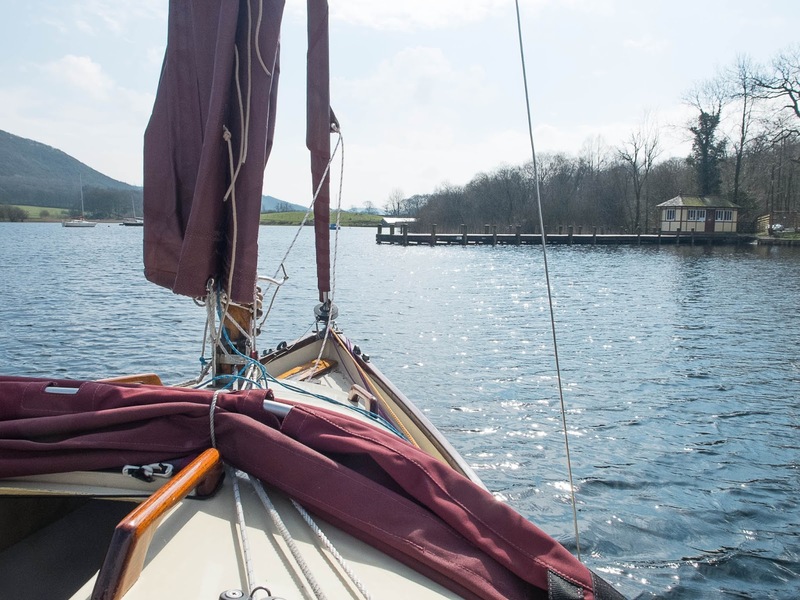 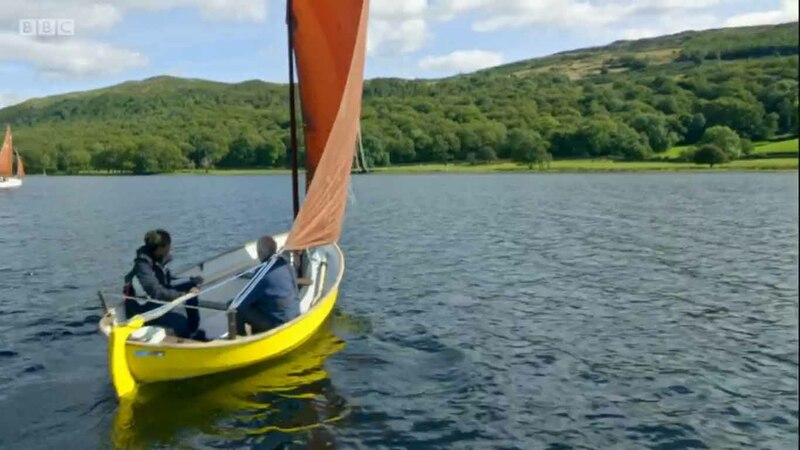 As part of the BBC's series "Secret Britain" they visited the Lake District and part of the programme they sailed out to Peel Island, or "Wild Cat Island" in Arthur Ransom's book "Swallows and Amazons", hardly a secret! 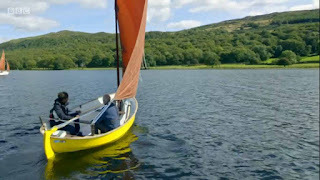 They interviewed Peter Altounyan, who is Roger's son from the original family that inspired the book. 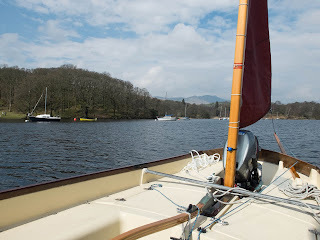 The photograph below was taken at the south end of Coniston Water where the programme was filmed. 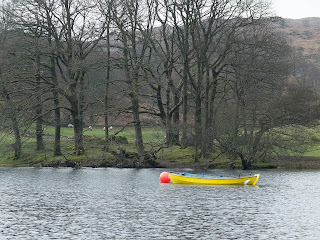 This is also the real location of the River Amazon and Octopus Lagoon from the book, which are really the start of the River Crake and Allan Tarn, which are behind Kathleen's mast. 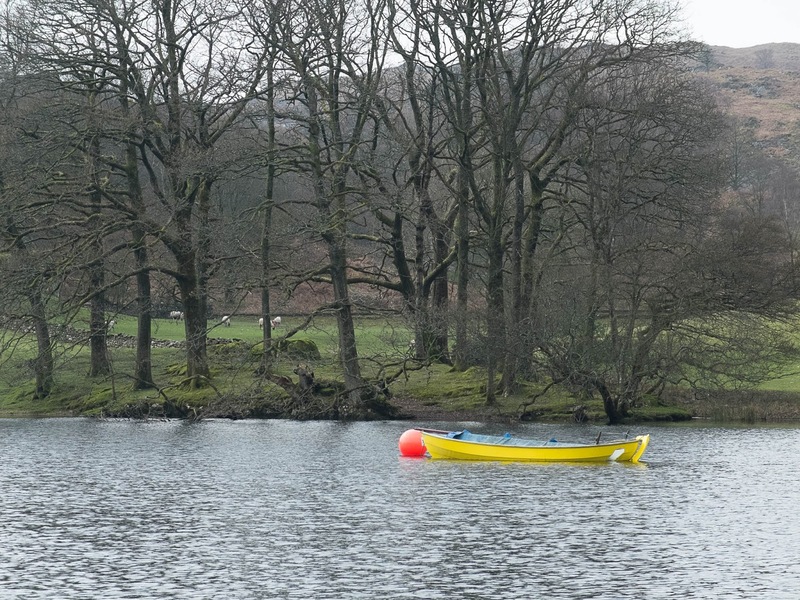 The jetty is used by the steam gondola to drop and pick up passengers. This some how described so well our current obsession with H&S. I know not all will agree.